The BVRLA, along with other leading trade bodies, is urging fleets to take action on the current government consultation on changes to vehicle tax as the deadline for submissions looms. 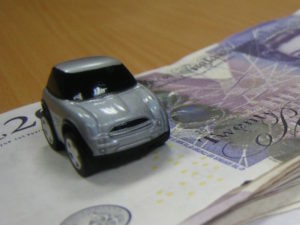 The consultation follows the introduction of the new, more accurate WLTP test procedure, which will be used to provide CO2 figures for both company car tax and Vehicle Excise Duty from April 2020. It will potentially bring much higher costs for both for fleets/drivers; WLTP is expected to increase most cars’ reported CO2 figures by 10-20%. In its consultation, the Government is seeking more information on the impact of WLTP on CO2 emissions and how it should adjust VED and CCT. However, the BVRLA – as well as other organisations – has expressed concerns that the Government will fail to remedy the current vehicle tax regime, leading to a higher tax take for the Treasury. His calls are being backed by a number of fleet firms who say that the Government must take action to help fleets plan ahead – including publishing BIK thresholds for the coming years. Martin Brown, managing director of fleet management and leasing specialists Fleet Alliance Group, said the industry needs greater clarity from officials at Westminster so that companies could plan fleet policies with more confidence. “With the likelihood that CO2 values are likely to increase for individual models under WLTP, it is very difficult for us to advise our clients which are the most suitable vehicles to select for their fleet policies. “The Government needs to bring greater clarity to the situation when it announces the results in March so that we can help fleet decision-makers plan their future polices with confidence,” he said. “What we need to see now is more government support, clarity and a consistent – rather than a knee-jerk – approach to transport policy. Which is all fleets really want,” he added. The BVRLA is urging fleets to take action on the vehicle tax consultation by sharing any evidence of how the progression to WLTP-based tax will unfairly impact drivers and fleet operators. This evidence can then be used in its consultation response. For more details of the BVRLA campaign, click here. To access the Government details of the WLTP review and make a submission direct, click here.